The Nokia Lumia 1020 is the new great hope of the Finns but like any other phone it might break and you might need to disassemble it. Or you could just be curious to see how the pros do it. Either way, the disassembly manual with step by step instructions and photos is worth a look. 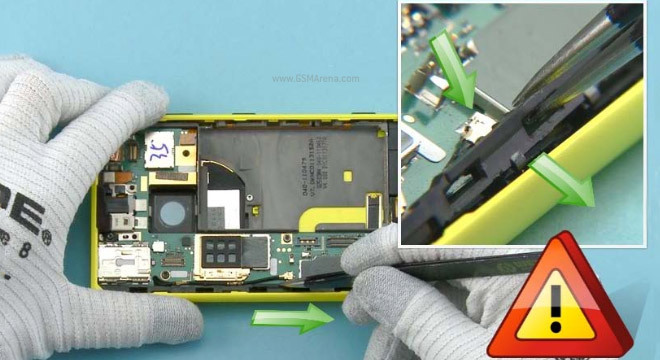 All you need to take the Lumia 1020 apart is a “Nokia Standard toolkit version 2″. Failing that you can use a TORX+ screwdriver in several sizes, needle nose pliers and a plastic opening tool to pry open the smartphone. You can hit iFixit’s tool section if you don’t have some of the specialized tools you’ll need. And here‘s the disassembly manual (PDF). No rush, the Nokia Lumia 1020 isn’t even on sale yet, but you can pre-order it in the US and Germany.